The Re-Create Scalloway project is entering its next phase and information relating to the improvement and changes to the Scalloway landscape will be outline at drop-in sessions today and tomorrow in the village public hall. Local councillor Mark Burgess said: “So far there has been a really great response from the questionnaires and online. At the first workshops it would have been better to get more through the doors, but those who attended delivered some really high quality input. 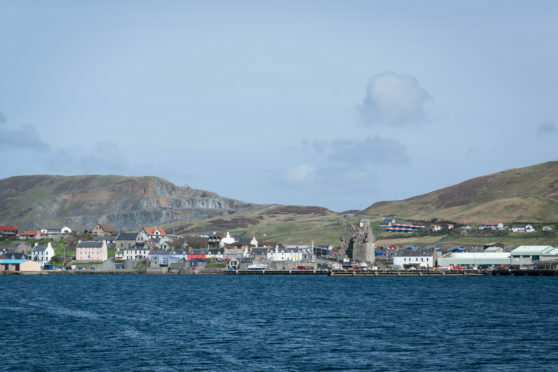 The project is jointly being led between Shetland Islands Council and Scalloway Community Council, with a draft plan expected to be submitted towards the end of the summer months. Simon Pallant, planning officer for Shetland Islands Council, said: “A lot of engagement has gone into the project, particularly young people, with pupils at Scalloway Primary, pupils at the high school and youth centre giving really good feedback and engagement. “We are looking at ways in which to reach those who cannot attend workshops and we have done that through our website where people can view and make comments on the project, so we are trying to reach as wide an audience as possible, in particular groups who are seldom heard from. So far 120 people have completed a questionnaire during public engagement sessions in May, covering an array of topics such as public spaces, waterfront development opportunities and housing. Funding for the project has been made available through the Making Places imitative, with Scalloway one of 19 communities in Scotland to receive funding from the scheme. Drop in sessions for the public are between 5-7pm while a presentation relating to the findings so far taking place between 7-9pm.